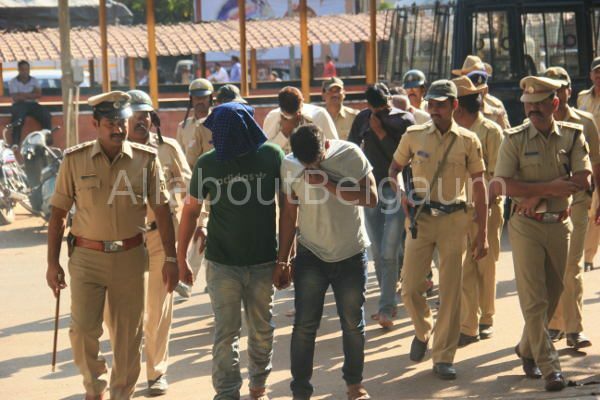 Six sharp shooters arrested by the Belagavi police yesterday were produced in the JMFC 4 court and it remanded the six to 6 days of judicial custody. 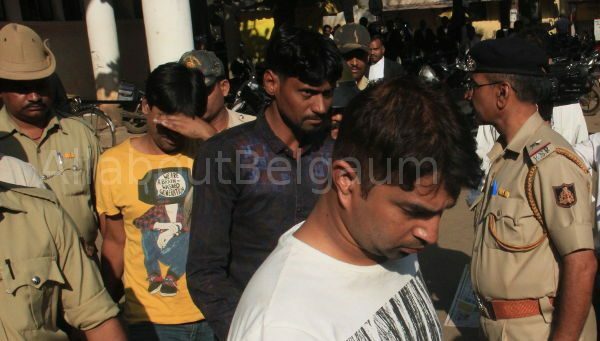 Anup Gowda, Avinash from Mumbai, Mohadmad Haneef from Mangalore, Reddy from Bengaluru, Tahir Hussain, Ahemad and Abdul Karim from Mumbai were first take to civil hospital for their medical tests and then produced in court. Sources have said that the shooters have link with various gangs in Mumbai and elsewhere. The police are throughly investigating the matter.